When World cycling hits the Ligurian coast, the spring blossoms and the season gets into its core. This is true for the road racers pursuing the dream of glory at Milan-Sanremo, and this time it will be also for their Cross Country colleagues – Italy’s Liguria Region will welcome the opening stage of the 19th Internazionali d’Italia Series, the most important Italian Mountain Bike circuit, organized by CM Outdoor Events under the aegis of the Italian Cycling Federation and the International Cycling Union (UCI). On Saturday, March 2nd, the Cross Country specialists will take part in the Andora Race Cup, event organized by the Municipality of Andora and the Andora Race organizing company, with the collaboration of the Italian National Team Coach Mirko Celestino. The hills surrounding the Riviera di Ponente are ready to host the first seasonal “battle” of the circuit. The defending champions in the Elite categories are Gioele Bertolini and Marika Tovo, overall winners after 2018 edition’s final round in Chies d’Alpago (Northern Italy). “Our event represents a good early-season test – Celestino explained. – In March, the riders love to come to the Ligurian Riviera, as they find ideal weather for training and racing. That’s why we have decided to organize a new race, in collaboration between my club and the Municipality of Andora, and join Internazionali d’Italia Series”. 4 kilometers and 160 meters of elevation gain for each lap: Andora Race Cup will be an event for complete and skilled riders. “The course is challenging: this area is full of short but tough climbs and natural obstacles – said the Italian National Team Coach. – It will be a beautiful race, ideal for the early season”. “We’re receiving confirmations by top-class bikers and teams, like Stephane Tempier and his Team Bianchi Countervail, Andrea Tiberi, Martin Loo and Italian Champion Gerhard Kerschbaumer – Celestino said. – In addition, Gioele Bertolini’s season will probably start in Andora too, after a long cyclo-cross season. 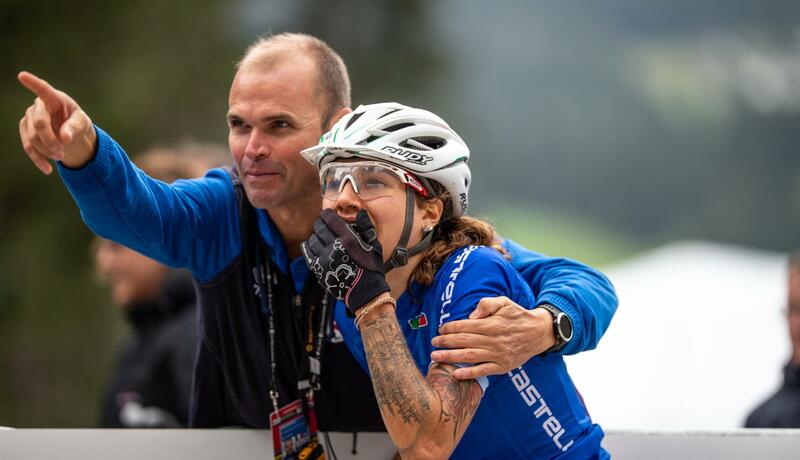 Generally speaking, I expect a solid participation, also because Internazionali d’Italia Series represents is so important for the national Mountain Bike movement”. Andora Race Cup’s programme will be run on two days. On Saturday, March 2nd the event will start with the Internazionali d’Italia Series racing categories – Elite, U23 and Junior – followed by the Amateur and the Youth competitions on Sunday, March 3rd.